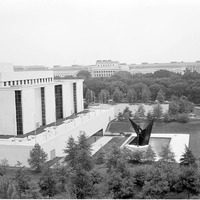 Alexander Calder, “Gwenfritz,” Histories of the National Mall, accessed April 22, 2019, http://mallhistory.org/items/show/522. 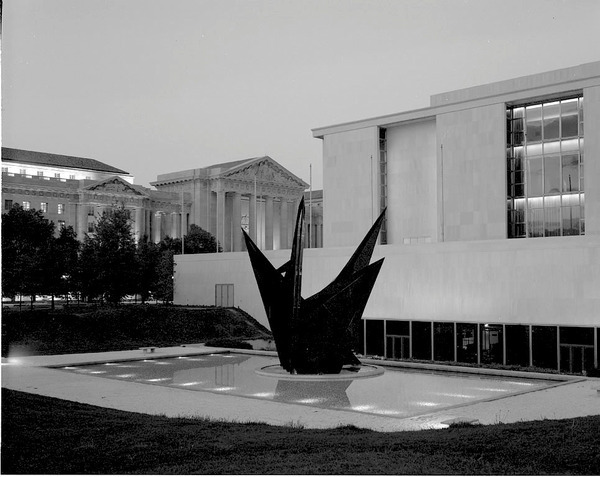 Sculptor Alexander Calder designed "Gwenfritz" in 1965 after Washington philanthropist Gwendolyn Cafritz commissioned him to create a piece for the new Museum of History and Technology. Calder built the 40-foot tall metal stabile in France and shipped it to Washington in 6 crates. 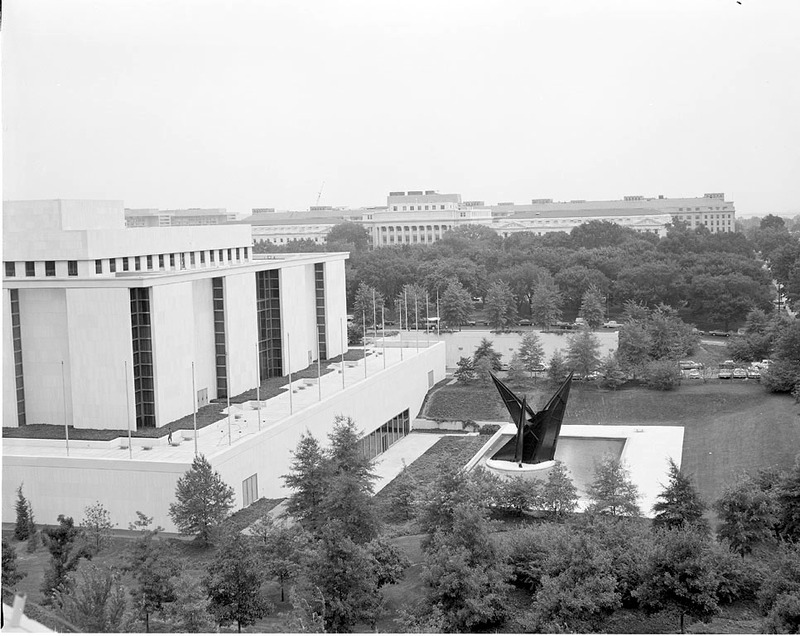 Smithsonian staff installed the work in 1969 on a reflecting pool facing 14th Street. 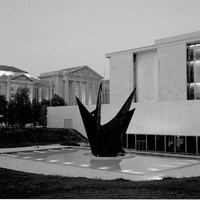 In 1984, the Museum moved the sculpture and filled in the pool. In 2013, the Smithsonian began conserving "Gwenfritz," and in October 2014 returned it to the original location. During the restoration, staff repainted the sculpture and replaced all 1,200 bolts connecting its panels. Institutional History Division, Smithsonian Institution Archives. View original. The sculpture is 40 feet tall and weighs 35 tons. It contains 71 pieces connected by 1,200 bolts all faceing the same direction. Calder instructed that the sculpture be painted with a matte black, lead-based paint. In 2013, conservators repainted the piece with high-tech paint specifically designed for outdoor sculptures. The west side of the National Museum of American History.